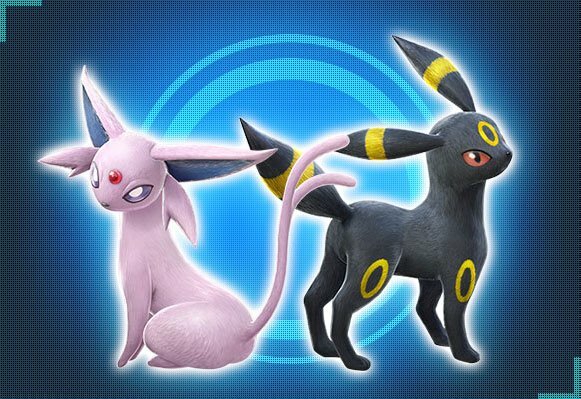 Question: If you could add one and only 1 Pokemon to Pokken which one would you add and why? I wanna try Pikachu and Gardevoir. I don't give a damn about who's gonna be in the cast or not. I just hope that the game will be balanced and competitively enjoyable. You can use 2 Wii Us and connect them on LAN. So, everyone can play with what they want. The gamepad, the pro pad or the Pokkén pad. Golurk. Need muh Iron Tager proxy. Though given even a 'mon like Chandelure can get in, I'd be super hype for an Absol. Yo check it out: new supports. Gen 2 has Suicune, but nothing else. The struggle is still real. At this point all Eevee evolution are doomed to support roles, but Don't worry there still a huge chance that Absol will make it in. For the Support Pokémon, Cubone uses Bonemerang which is a quick long range attack that hits multiple times and brings opponents to you. 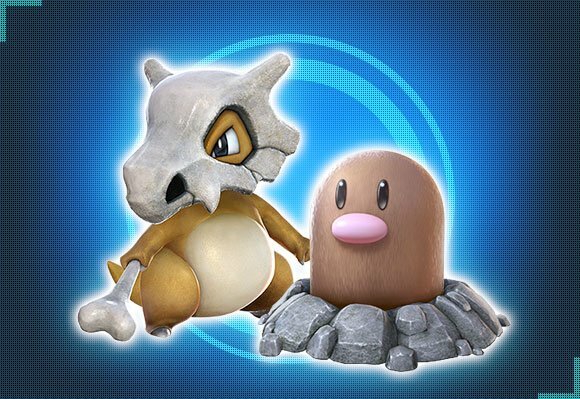 Diglett uses Dig which makes it easy to land combos when the opponent has been hit. 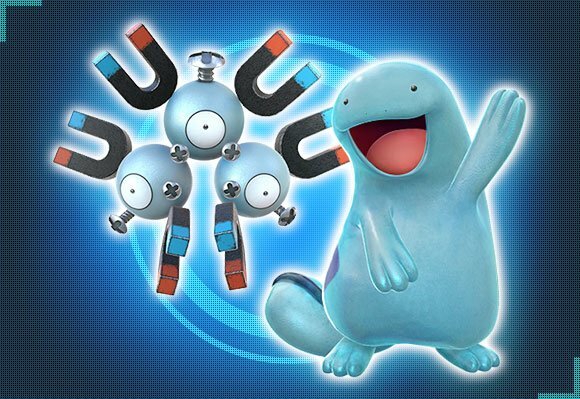 Magneton uses Tri Attack which aims upward. It lowers opponents' Speed & Attack and is good against jumping opponents. Quagsire uses Mud Bomb. It is effective on players on the ground and damages even if guarded against. Espeon uses Morning Sun which removes status conditions as well as healing Hit Points.The less time on the clock, the more it raises. but Don't worry there still a huge chance that Absol will make it in. Well then, call me the grim reaper. More info: It has also been stated that there are currently no plans to release additional Pokémon or stages through downloadable content. No DLCs for now... Good. No idea who I'm going to main. I'm stuck between Weavile, Sceptile, and Chandelure. is it like a touch pad or something? Been a pad player since forever, so my first impression on the pad doesn't really bother me. I honestly can't really imagine using a stick on Field Phase, either. Once the game comes out is anyone interested in having some weekly tournaments? I'd honestly like to see some DLC down the line, but some of the initial choices for the cast were...questionable at best. Libre Pikachu over Hawlucha / Sawk / Throh? I dunno, some of them are suspect, but I heavily approve of some of the outliers like Chandelure and Suicune. What I do feel is missing at the moment from the game at the moment though is a lack of a trickster. We've got rushdown, "Shoto", glass cannon, grappler and zoner; but I can't see a trickster, to my knowledge. I'd also like some more projectile-based zoners, but that's me. I'm at one of the early access tournaments today. I live nearby one so it wasn't hard getting to it. Wanted to play, but apparently all the spots for the older division got closed up pretty fast. Fortunately my little brother can still play but we don't really know anything about the game. Looks pretty interesting so far. What did they say, that there's no plans of adding more Pokemon as DLC? I'm honestly really fine with that at the moment... but will probably look for more playables when the game starts aging.